A China-based developer created an Android launcher that replicates the Windows Phone 8 interface, and I must say they did a real good job. Each tile is resizable and customisable, just like WP8. 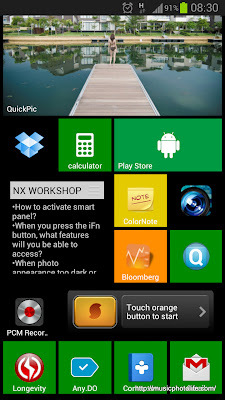 The animation, apps list, context menu, settings menu, status bar (optional), all work and look just like WP8. The only hint that you are actually using Android is when you open an app. 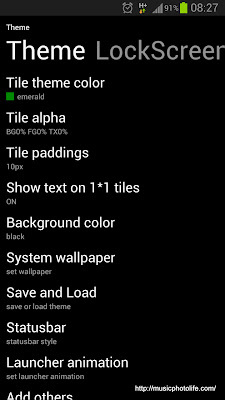 Most Android widgets can be added to the launcher and resized too. 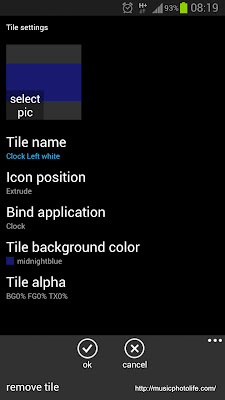 But since Android widgets do not behave like live tiles, the developer coded special widgets to make the tiles look more Metro. 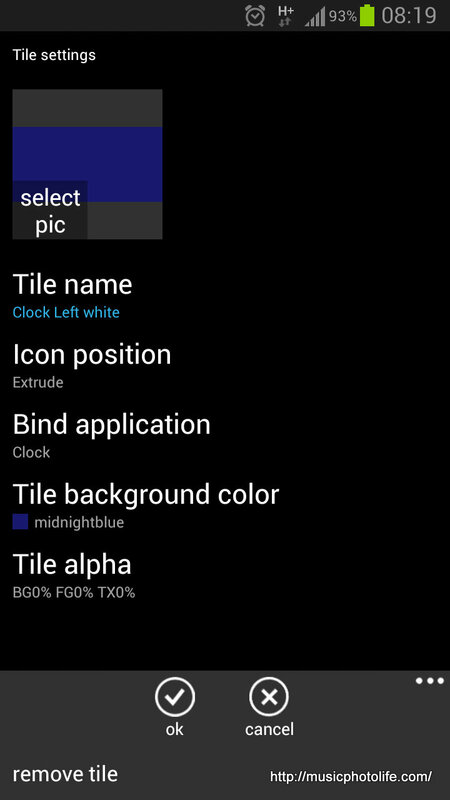 These are the Live Contacts, Live Gallery, Time Tile, Lock Screen. 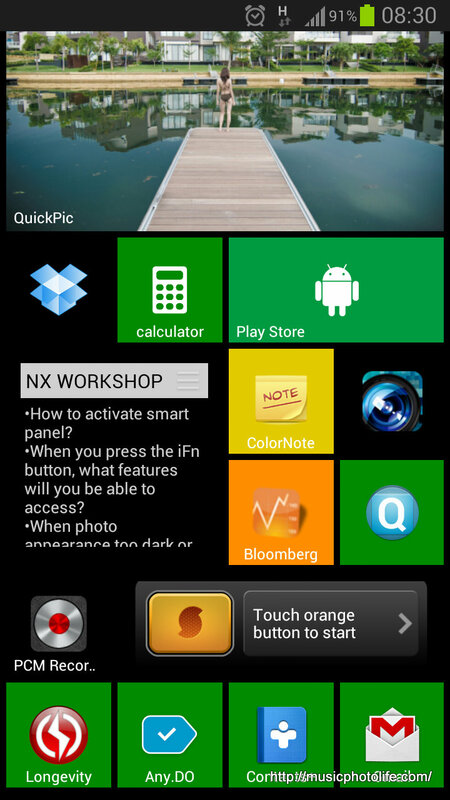 If you have tried Windows Phone before, then Launcher 8 would feel right at home. If you have not, here's your chance to try it out without having to buy a Windows Phone. Mind you, the interaction is very different from Android. Swipe up and down to scroll the entire home screen, swipe left and right to open the apps list. I have to say that using the Launcher 8 helps me appreciate Windows Phone and Android OSes respectively. 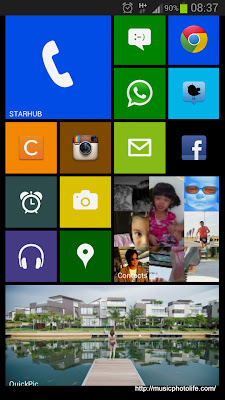 I really like the pretty colourful tiles that make Windows Phone so striking. 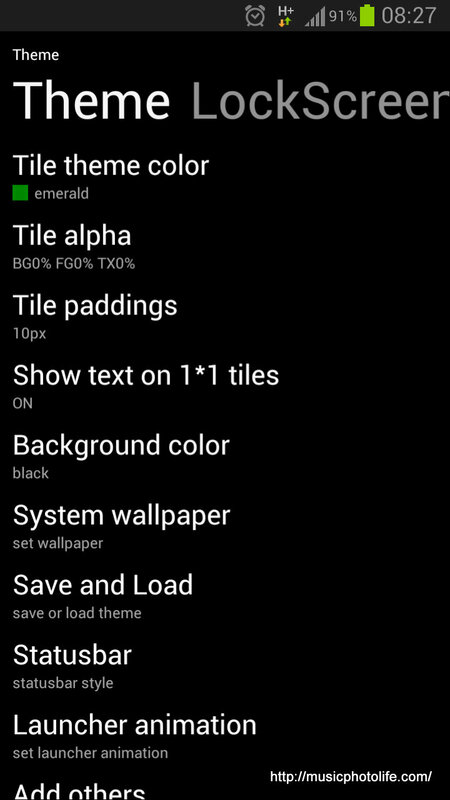 I can use the tile colours to create logical groupings: either group them in the same colour or intentionally select contrasting colours with the surrounding tiles. On the other hand, I prefer the freedom of Android OS, allowing ease of file sharing across apps and the flexible interactive widgets that shows live updates on the home screen. With Launcher 8, I get to enjoy the best of both worlds. Download yours today, free, at Google Play Store.